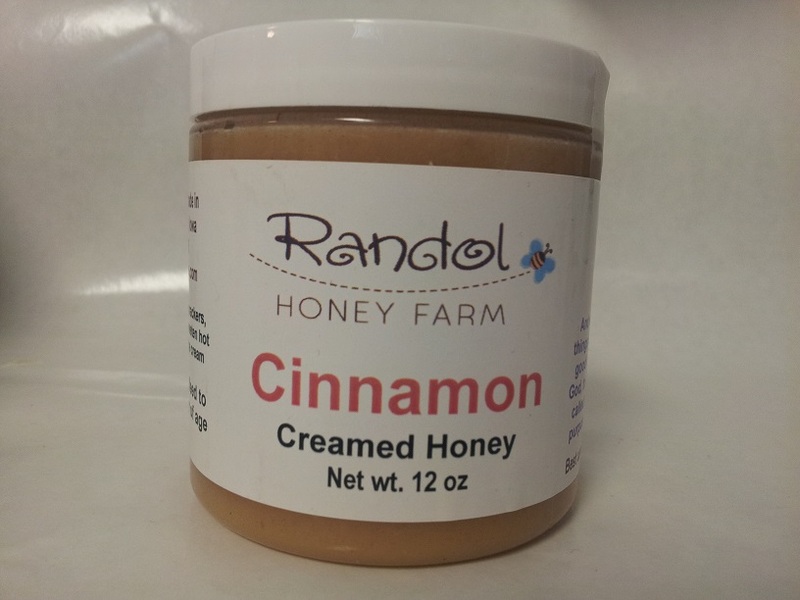 Creamed Honey is a process of controlled crystallization to which we add flavorings to give our Gourmet Flavored Creamed Honey a delightful taste, and a smooth spreadable consistency. It's ideal as a topping for pancakes, waffles, an excellent spread for your toast or bagels, a meat glaze or a dip, or you can flavor your tea. It is also Wonderful as an ice cream topping. The Jalapeno makes great meat glaze, also is very good in your stir fry, baked beans, on cornbread, any place you want to add some sweet and spice to your recipe. No matter the flavor, they are all winners: Choose from Plain, Apple Cinnamon, Blackberry, Blueberry, Butter Rum, Cinnamon, Jalapeno, Orange, Raspberry, and Strawberry.